Random Reading thoughts and the Authors that inspire them…. I have been pondering lately, the relationship I have with my favourite authors, and considering in a bit more depth, how I pick and choose which novels to read from the plethora of choices available to me. Am I too insular in my decisions? 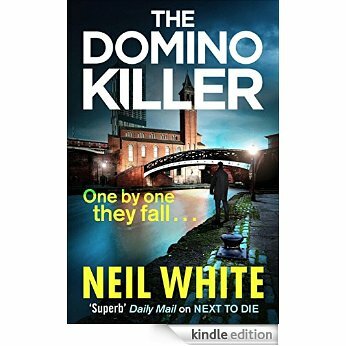 I most often go for the “easy” option of staying within my comfort zone, that of Crime Fiction and Stephen King novels – and once an author has captured my attention I will stick with them to the bitter end. And in some cases that end is indeed bitter…as I will come to. Firstly, lets take a look at my “top 4” if you will – those authors who have burrowed their way into my heart so completely that the idea of letting one of their novels pass me by is inconceivable -perhaps if other readers ever see these blatherings, they will recognise the symptoms – any prolific reader will have their own list and their own reasons, as close to their heart as these are to mine. At the very top of my list is Stephen King, as anyone that knows me well will be very aware of. 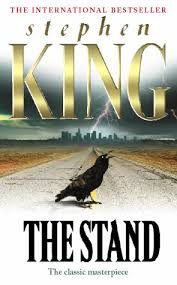 My relationship with Mr King started when I was a mere teenager – “The Stand” uncut version was on offer in my local bookshop and the story seemed vaguely interesting so I bought it, went home and was not seen again for three days. Anything he had ever published soon followed and to this day he has never let me down. I cherish those times I spend with his stories, I create time no matter how busy when a new one arrives to immerse myself totally in his world without interruption. Not all of his books are of the same standard, but I love them all to one degree or another. “Lisey’s Story” quite literally saved my life during a time of life threatening illness and for that reason alone as long as he writes, I’ll read. I could write a whole book on what each of his novels has meant to me but perhaps another day…lets move on. A fairly quick word on the other three, or you really will be here with me all day and I’m sure you have better things to do! 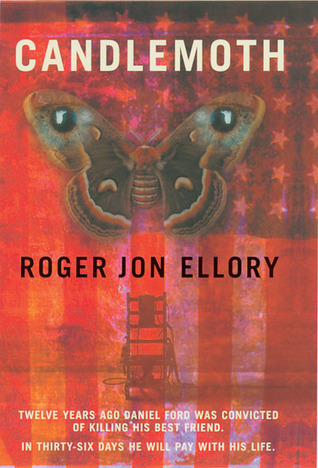 Mr Roger Ellory writes Crime Fiction. But not really. He writes stories. The type of stories that creep into your subconscious without you noticing and end up staying there in your peripheral vision forever. The only other author perhaps for me, that does this as well as Mr King does but in a totally different context. “Candlemoth” still is, and will remain ever so, the first book to make me realise that the telling of a good story can touch your soul. 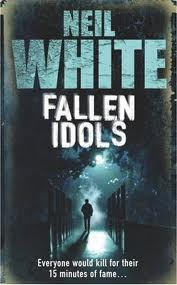 Then there is one of my favourite people as well as one of my favourite authors, Mr Neil White. 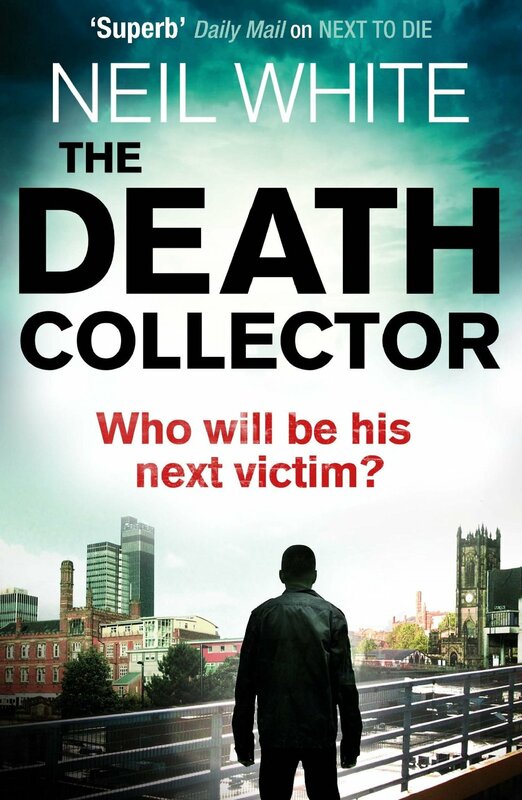 A few years ago my love of reading had faded somewhat – I was finding the new “Crime Fiction” jaded with nothing new to be found and no characters that lived with me during the time spent reading the book. I am thankful to this day that “Fallen Idols” was given to me as a gift – it turned out to be the best gift I had ever been given – that of faith. A rediscovery of my faith in the fact that a good book can make the worst day in the world seem like the best. “Jack” and “Laura” may not be real but they are realistic. And now for better or for worse (there hasn’t been a worse yet, even when Jack and Laura are absent) they are mine. Finally a new addition – Elizabeth Haynes. If you haven’t read “Into the Darkest Corner” then why not?! Go and do it. Ms Haynes writes people. Real people, with real situations, sometimes horrifying sometimes seemingly bland but always, always heart wrenching and unforgettable. So there you have it. You find your people and you stick with them through thick and thin, a bit like a marriage really in a lot of ways. And like some marriages it can go horribly wrong. I used to have a top five. Sometimes however, a writer can seemingly begin to misjudge his/ her target audience and suddenly that series that was a must have, becomes a definitely won’t have even if it is free. Such was the case with my reading relationship with Patricia Cornwell. Ms Cornwell was a pioneer when it came to Crime Fiction and the creation of a strong, independent, successful female character who not only kept up with her male counterparts but was often superior to them. Along with Dr Scarpetta you also got interesting and involving mysteries and a real insight into how Pathology works. For many years one terrific novel followed another then something started happening. Slowly but surely Dr Scarpetta lost her edge. A downward spiral into suspicion and gloom started to invade every page. Every book had a “Conspiracy ” in play against our well loved protagonist and the previously intimate and well rounded supporting characters became cardboard cut outs of their former selves. Marino lost all his redeeming features, Lucy is still a petulant teenager and Dr Scarpetta herself became annoying in the extreme. Whether this was/is a reflection of things going on in the author’s own life was something that was concerning me more than the story I was reading. It was intrusive and no longer fun. I continued on in the hope that there was redemption in Scarpetta’s future but after “The Bone Bed” I can no longer justify the expense of continuing. And I cried at making that decision. Actual tears. I felt like I had lost a friend – such is the power of the writer to invade a readers life and to make them feel a real loss when things are not going well. I wish Ms Cornwell luck with all her future novels, but it is highly unlikely that I will be there for the ride. However it must be said, she wrote many AMAZING stories that have baffled, ruffled and tussled my mind, and for that I will forever be one grateful ex reader. The love of a good book is one of the most amazing things you can pass on to your children. My eldest, now 21 years old, loves reading as much as I do. Her favourite author list would be many moons away from my own, but she loves hers as I love mine – with a passion and heartfelt gratitude that will never leave her, and something we will always be able to turn to in times of trouble to lessen the daily burden of life. My youngest children, 2 and 5 respectively, are being brought up on “Green Eggs and Ham” “The Gruffalo” and “Hairy Mclary” to name but a few and they are demanding more and more bedtime stories at times other than bedtime – So I know they are going to follow in the footsteps of their mother and sister. My Husband also is a great book lover so they have no choice really – but hey, isn’t that great? I love reading. I love the authors that provide for me that which I love. They are the unsung heroes of my generation and if reading this has inspired you to find your “people” and become part of their literary world then my job is done. So there you have it. I’ve shown you mine, how about you show me yours? Whether it be one book that changed your world or one author your reading heart is married to, we want to know. Reading cannot ever be allowed to become a lost art…and as long as readers like us keep sharing our experiences, that will not be the case. Follow Liz on Twitter @Lizzy11268 . If you’re a reader, writer, blogger, or just a plain interesting person, it’ll be worth your while.